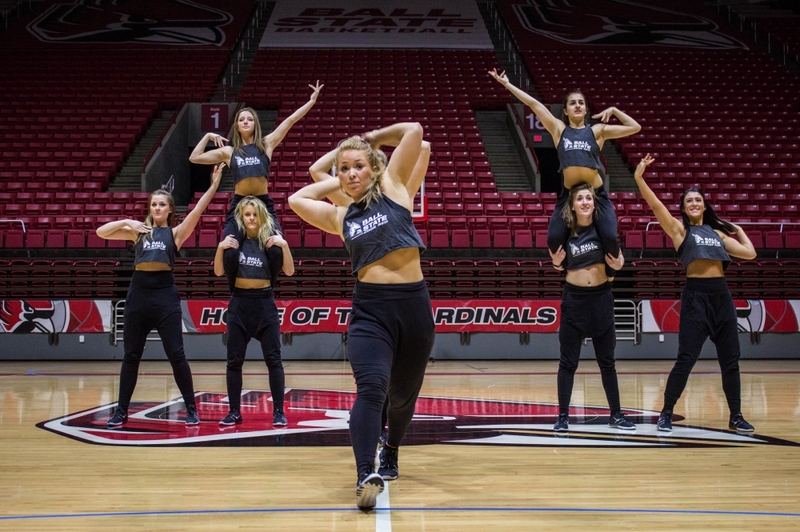 For the first time, the Code Red Dance Team will join members of Ball State’s cheerleading squad for a trip to Orlando to compete in the UCA & UDA College Cheerleading and Dance Team National Championship this weekend. The teams will compete separately in their respective division but make the trip together. The championship is at Walt Disney World, with semifinals Jan. 14 and finals on the following day. To prepare, both teams held practices several days over Winter Break in order to perfect their routine. Code Red’s typical routines focus more on entertainment and are shorter and more condense, while their competition routine combines entertainment and a higher level of difficulty. A choreographer came in and presented tricks to the team, and the gymnastics room became their new training facility and testing ground for the 12 women. Kaitlyn Ewing, the Code Red captain and a junior hospitality and food management major, has been a Code Red dancer for three years. As captain, her main role is to ensure that team morale is up during practices through leading by example and cracking jokes if tension rises. Wilkins is in her ninth year of coaching Code Red, and was a Code Red dancer herself in 1998. The cheerleading squad is taking a total of 22 students, but only 16 will get to compete on the mat. The nationals team includes cheerleaders from both the all-female and co-ed squads. Dana Roth, a senior public relations major, is one of three senior leaders on the cheerleading squad and will travel to Orlando. Several other schools normally bring their cheerleading squads and dance teams to nationals. Roth said having Code Red there with them will be beneficial.